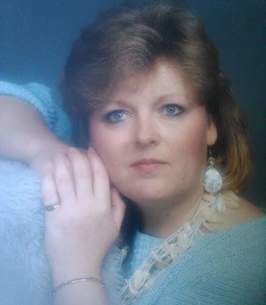 Dorita Faye Lawson Dowdy, 66, of Salem, Va., passed away in her home on Thursday, January 31, 2019. She was the daughter of Kate and Buck Lawson of Christiansburg, Va.
She is survived by her daughter and son-in-law, Katrina and Windell Brodrecht; her son, Houston Trey Dowdy; her daughter-in-law, Tracy Hall Dowdy; her grandchildren, Lawson (Rachel), Garrett and Mackenzie Brodrecht; and Kyle, Kaileigh, Kerrington, and Conor Dowdy; her sister Orlanda Friddle; her brother, Jerome Lawson (Carolyn); her beloved cousin, Chip (Judy) Lawson; special niece, Wendy (Larry) Broughman and her children, Destiny (Prescott) Conley and Cory Burton; and many other special nieces, nephews, and cousins. To honor Dorita’s wishes, there will be no formal service. A visitation, however, will be held from 2 to 5 p.m. on Sunday, February 3, 2019, at First United Methodist Church in Salem. Please wear something pink to honor her love of pink and celebrate her life. In lieu of flowers, please consider a donation to St. Jude’s or First United Methodist Church. Online condolences may be expressed at www.johnmoakey.com.